I help run the #PodernFamily group on Facebook. There is a strict "No posting episode links" rule. Does that stop people? NO! That's why posts have to be approved. What I see the most are the same people posting their link every week. And every week, those posts get denied. The worst thing? These people don't interact in the group, aside from trying to post. They come in, post their show, then "peace out"! The worst part of this is there is a designated "Post your new episode" thread every single Monday they can do that in. Here's the thing with that thread, though. It gets a lot of replies, but very little engagement or conversation. Does that mean people aren't finding new shows in that thread? It's hard to say. Think about it this way: a group of other podcasters is not your target audience. The people who are into what you talk about on your show are your target audience. You may find a few in podcasting groups on Facebook, but you're probably going to have more luck finding them in groups centered around that niche. But, again, I'm sure those group owners won't take too kindly to the Post and Peace Out approach when it comes to your podcast. Yes, you should be promoting your shows, and hopefully in a creative way that will entice people to listen. Not just "Episode 42 is up! Go listen! Listen right now!" Um, tell me why I should listen! Give it a name that intrigues me. Do you have a cool guest on? That should be in your title, even better if it's closer to the front of the title if they're well-known. What will I gain from listening to the podcast? Will I laugh? Will I learn something? Will I be inspired? Let me know! I don't just go into unmarked stores, hoping to find cat food. I go into stores I absolutely know has the cat food. Whoa there! Slow down! How about liking some Tweets first, then maybe starting a conversation (in public so I know you're not a DM-creep). If you have your Twitter profile set up to showcase your podcast and someone is interested, they know how to click on a link, don't worry. They will see the link and what you Tweet and they can choose to click them all by themselves, without DMs to shove everything in their faces. On multiple episodes of Libsyn's The Feed, Rob and Elsie have shared that Apple doesn't like it when you try to game the system. We'd all love our chance to be featured in Apple Podcasts, right? But if you get an offer or see someone saying they can get you on the Top 100 charts of Apple Podcasts or into New & Noteworthy, RUN! RUN AWAY! Not only could paying for this be a waste of money, but Apple has been cracking down on shows that have had this sort of help. "You have 8 weeks to get into New & Noteworthy"
"Ratings and reviews help your rankings in Apple Podcasts"
"If someone subscribes, they automatically download all your past episodes"
"Stuff your title, author tag and episode name with as many keywords as you can, even if they have nothing to do with your show"
"Post the direct URL to your posts so bots will click on it and give you more downloads"
"Post about your show every single hour to your social media"
One last thought about this (because, honestly, my jaw is clenched so tight just typing those words above): You want REAL listeners. Not bots. Not numbers on a chart. You want PEOPLE to listen to your show. Sounds counter-intuitive, right? I just practically did the equivalent of computer-yelling at you not to spam your show, and here I'm telling you to promote it. But, see, there's a difference. When I was in middle school and had no idea how to navigate romantic feelings, I had a crush on a boy. My mom, probably meaning well and not wanting to see her little girl get heartbroken, told me to keep it to myself and to never tell anyone or even act like I liked him. Can you guess what happened? He never knew I existed. I could probably pick him out in a crowd now, 20 years later, and he wouldn't be able to even guess my name. You probably know the feeling if you've ever run into someone from your past and they said, "I had a huge crush on you way back when," meanwhile you're scrambling, thinking, "Uh, is his name Matt? Mike? Adam? Crap! I have no idea who this is!" So, there are instances where you let people know, but like with middle school crushes, you can't just walk across the cafeteria and start making out with them—you have to start with a friendship. Even before that, you have to meet the person and talk to them! To bring this middle school scenario to real life (er, virtual life, I guess), when you go into a new Facebook group where you know your ideal listeners are, you have to start slow. Like some posts that resonate for your, comment on people's posts with encouragement, start conversations within posts, build yourself up as someone worth knowing in the group. * If they are interested in you and what you have to say, you can mention you have a podcast about it, but no DMing them, no pushing it on them—if they are curious, they'll ask. 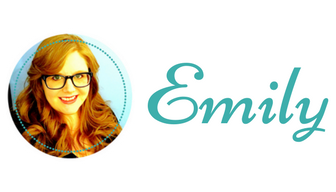 *By the way, a great resource for learning how to do this is the Getting Clients Without Being Salesy Facebook group. It's business-oriented, but there are a lot of strategies they teach in it that are amazing for any kind of marketing and promotion. Have business cards printed up for your show, including your website, social media handles, and email. Post about your new episodes only a few times a week on Twitter, less frequently on your own Podcast page on Facebook. Include new episodes in your newsletter. Invite (but do not require) your guests to share the episode they're on. Make Audiograms from your podcast episode using a tool like Headliner and post them. Invite your listeners to share an episode if they found value in it. Create promotional videos for your show and post them to YouTube. Go Live in your Facebook group or on your page while you're recording. Create a promo for your show and ask similar shows if they would be interested in doing a promo swap. Use hashtags relevant to your content. A good example would be #audiodramasunday on Twitter. Post behind-the-scene photos to Instagram with information about how to subscribe and listen. Join HARO (Help a Reporter Out) or reach out to local media to let them know what you're an expert in. Go to local meetups in your niche and meet others interested in the subject. Make your podcast part of your social media profile information, including easy-to-find links to your show and website. Make a show worth sharing! 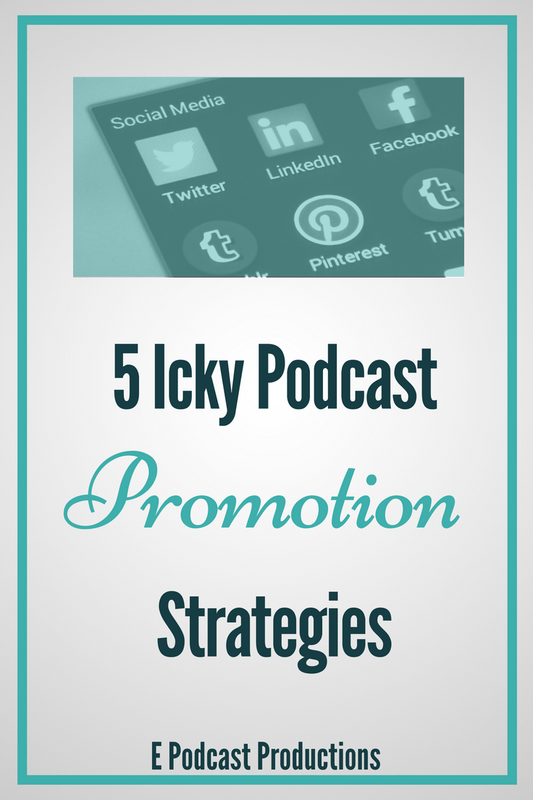 Want to talk more about podcast promotion? Set up a Strategy Session to talk about some of the best ways to promote your show (without being icky).